Firstly, thank you for taking a minute and some out of your day to watch the video. 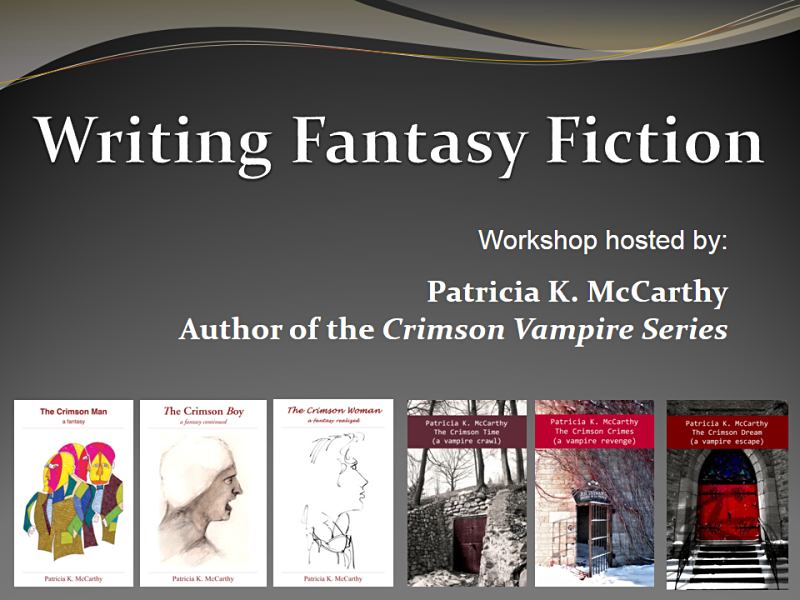 If you are interested in attending my workshop, kindly email: patricia@patriciaKmccarthy.com and I'll provide you with all the necessary details as to the next time and place. If you are interested in hiring me to deliver a special workshop to your group, contact me and we can discuss my on-site rate which will include transportation expenses. My workshop is suitable for all ages and includes a visual presentation and hand-outs.